s a DIY person who does woodworking on occasional weekends, I know my skills can never match those of a fulltime Indian woodworker, who has been at it for years and learnt his craft through hard practice. Yet I aspire to make pieces as good as any woodworker can. The problem in a nut shell is to achieve the same kind of accuracy a woodworker can with his skill. In my case, I substitute skill with methods of work that achieve the same level of accuracy. The way to go is by using tools and building jigs capable of performing routine tasks, perfectly, accurately and consistently. I found while building even the simplest of jigs that I could not achieve any great degree of accuracy in making my jigs. It was a Catch 22 situation. I was building jigs because I did not have skills but I needed skill to build accurate jigs. After thinking about the problem for many weeks and trying various methods, I realised I needed a few tools to achieve my purpose. Before coming to the tools, let me state the problem in simpler terms. One of the hardest things to do I found was to make a perfectly flat ninety degree cut on the end of a piece of wood. Producing a face that is absolutely flat and perpendicular to the other faces is called squaring stock. In this picture the woodworker is checking one side of the stock, in this case the edge, for squareness. Even a slightly misaligned or less than perfectly flat edge would lead to inaccuracies and poor workmanship. 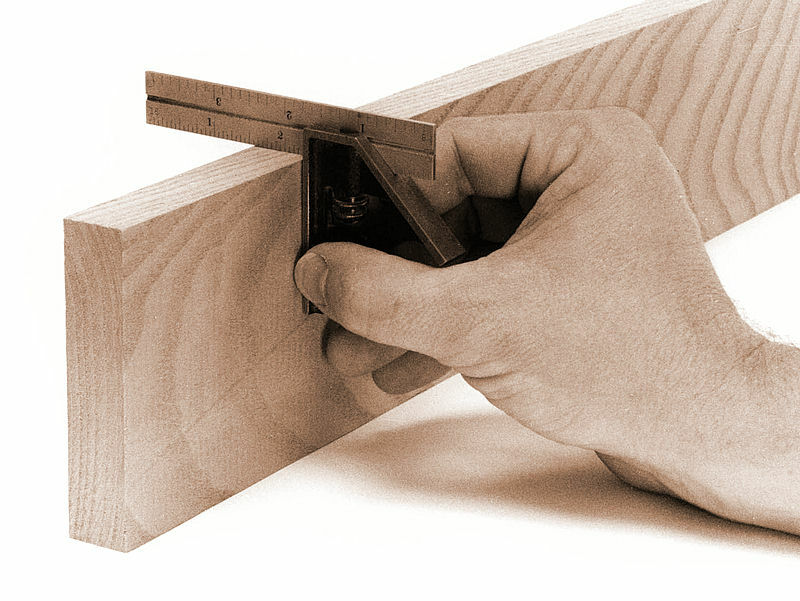 Most professional woodworkers in the West would use a jointer to produce a perfect edge but buying an expensive jointer, or a thicknesser that produces perfectly flat parallel panels, is not an option for most DIY people. In India, woodworkers would usually produce perfectly flat, squared pieces of stock by eye. But this process requires enormous skill and patience. Nowadays I find many Indian woodworkers investing in combination machines that can saw, thickness and produce jointing edges. But what does a DIY person do? It would be great to have a thicknesser like that one but considering that one like that would cost upwards of Rs 50,000, it is ridiculous even to consider buying one for the home workshop. Squaring the end of a piece of stock remains a problem because often one has to cut short pieces for various kinds of assembly. 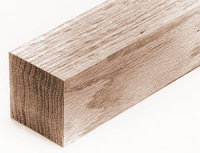 Accuracy and good workmanship demand stock that is perfectly flat and square on the ends. 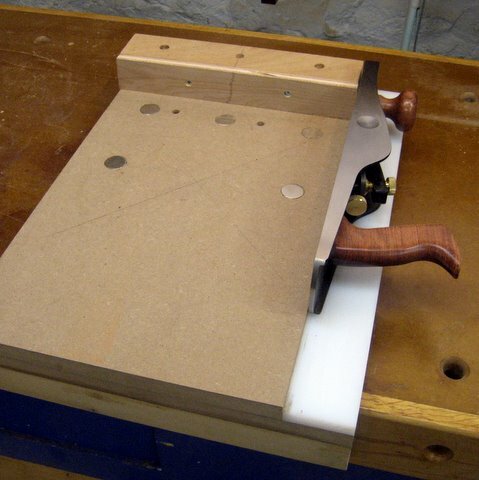 It would appear that sawing would produce a perfectly square and flat edge. However, in practice sawing more often than not leaves a pretty poor edge and even a slightly off-square end can result in major problems. One way to solve this is through the use of a shooting board (see picture below). But here too the problem is to produce a block for the end of the board that is perfectly flat. The Catch 22 situation again! To cut a long discussion short, the problem is easily solved by a disc sander, which has a mitre attachment that makes it easy to hold a piece of stock at a right angle to the sanding disc to get a perfectly square and flat end. I decided to buy a disc sander for doing smaller jobs with a degree of precision and finally settled on a 10 inch disc sander made by the well-known German company Proxxon. I must say I am pretty happy with the machine and have been practising making perfectly flat ended stock. 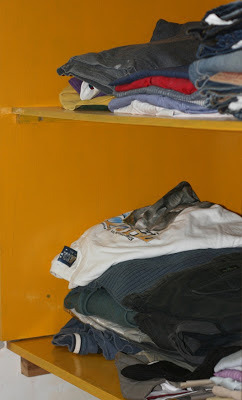 I find that I need a lot of patience to wear down stock made of hard wood such as teak. With board, plywood, acrylic etc. it is pretty fast and I suppose this is understandable given that the machine is essentially meant for light work. This is the first time I purchased a Proxxon tool. In fact I had never heard of the company until a friend in the UK said they produce some of the finest tools for hobbyists. 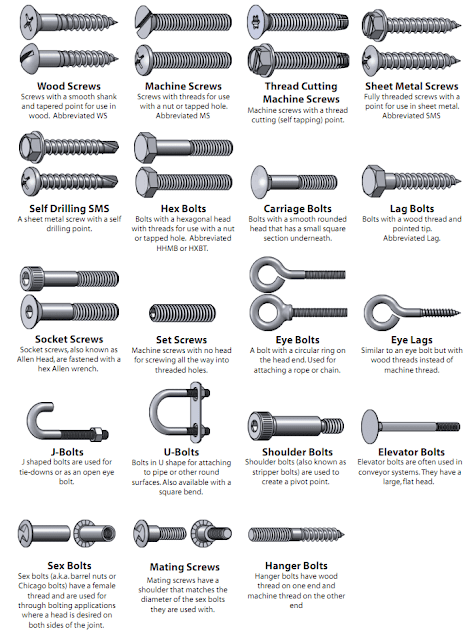 Most European online DIY and tools stores stock Proxxon products including Axminster (www.axminister.co.uk). Proxxon rotary tools compete with Dremel tools (see review) but tend to be more expensive on account of their supposed superiority. A cursory reading of reviews suggests that Proxxon accessories like tool holders are capable of great accuracy than similar ones by Dremel. Proxxon has two authorized dealers in India. I purchased my disc sander from UMS Technologies and was pleased with their promptness and efficiency in billing and dispatch. I paid for and got the sander in less than five days. This is far better than average performance – most Indian vendors will keep you hanging for weeks even after you have paid the full advance. I have faced exactly the same problem. It is extremely difficult to explain this problem to a non DIY person. What comes out is the feeling that either you or your tool cannot cut straight, both of which are not exactly true. I once tried a planer to get things straight, and finally found that my floor was not level to begin with. I ended up shaving off and shaving off until the final piece was a thin shadow of the original. Yes UMS was prompt for me too. 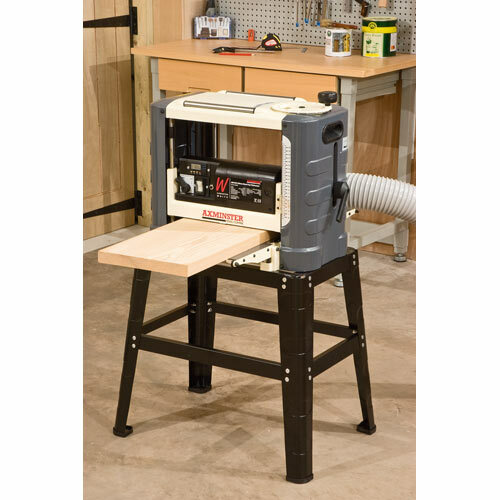 I had enquired about a scroll saw but finally did not purchase it. Is there an Indian cheaper equivalent of the same Proxon disk sander. 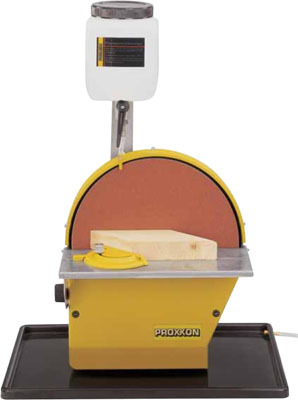 I did try to find a cheap India made disc sander on the Internet but failed and finally settled on the Proxxon machine. There are a lot of Indian manufacturers who make disc sanders but they do not seem to respond properly to email. Moreover, most of the Indian disc sanders are large floor standing machines weighing several kilos. These machines are fine for a factory but an overkill for a home workshop. But try indiamart.com or tradeindia.com to see if you can find something. CAN YOU TELL ME THE PRICE OF PROXXON DISC SANDER. I want to ask you few questions about this disk sander. Is it still working now after more than 3 years? Did you have some problems with it? And the most important - is the disk running true axially? I tried to build myself 8" disk sander with aluminum disk, but at the end it wasn't running perfectly true. There was about 0.3mm axial deviation, which caused vibrations. And I need really good precision, because I work with very small details. Now I'm thinking again about buying this proxxon sander, but there is no place to see it here in my country. Also there are very few reviews. Also I'm wandering is the table stable enough to keep it's angle and is it easy to set a fixed angle. 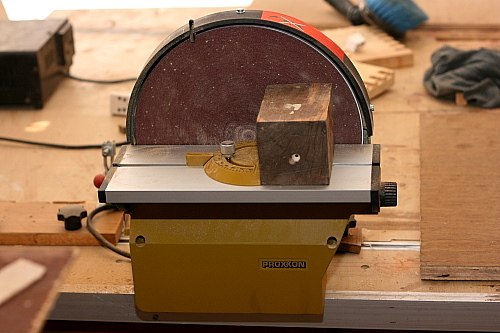 Ivan, this disc sander is pretty good especially for small tasks as the deviation is minor at most. I have not tested the deviation but there is no vibration. The table is perfectly stable and there is a mitre gauge as well. Works well for me but I do not know if it will meet your exacting requirements.